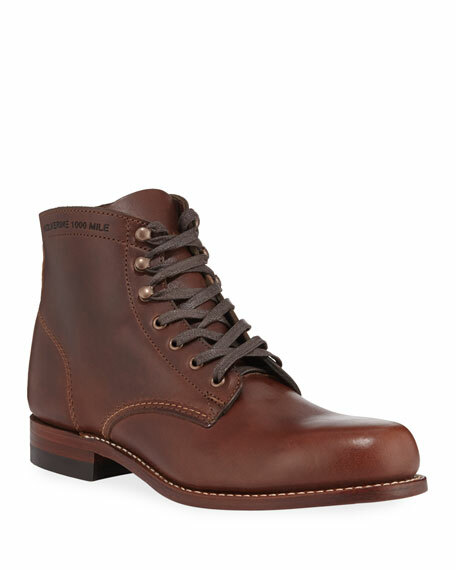 Wolverine Cordovan 1000 Mile cowhide leather boot. Stacked leather heel and outsole. Established in Rockford, Michigan, in 1883, Wolverine has been the choice of generations of Americans for outstanding durability and style. Wolverine has built a tradition of developing innovative comfort features along with designs that evolve with time, yet stay true to the quality of the original. CALVIN KLEIN 205W39NYC calf leather Western boot with metallic hardware. 2.3" stacked heel. Pointed toe. Buckled harness strap with nylon stirrup. Side zip eases dress. Leather lining and sole. Made in Italy. Hunter Boot hand-crafted, original short rubber boot with matte finish. 12"H shaft; 1" stacked heel. Decorative silvertone logo-engraved buckle on side. Hunter logo at center top. Quick-dry knit lining. Cushioned insole. 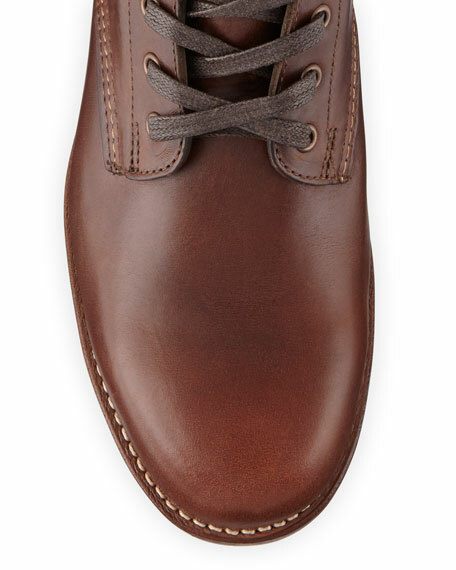 Original calendered rubber sole. Pull-on style. Imported.